On February 21, 2013 Steve Marinucci from Examiner.com interviewed The Rock And Roll Detective, Jim Berkenstadt about his book The Beatle Who Vanished. 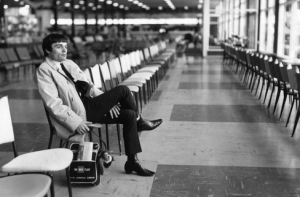 Read the article to learn Berkenstadt’s connection to former Beatle’s base player Chas Newby and many more interesting facts about Jimmie Nicol’s career. In addition, gain access to candid photos of Jimmie Nicol. If you would like to see more photos, videos and mp3’s of Jimmie Nicol, please visit the media section of our website.